This documentation shows how to collector makes it easy to extract useful information from the collector. 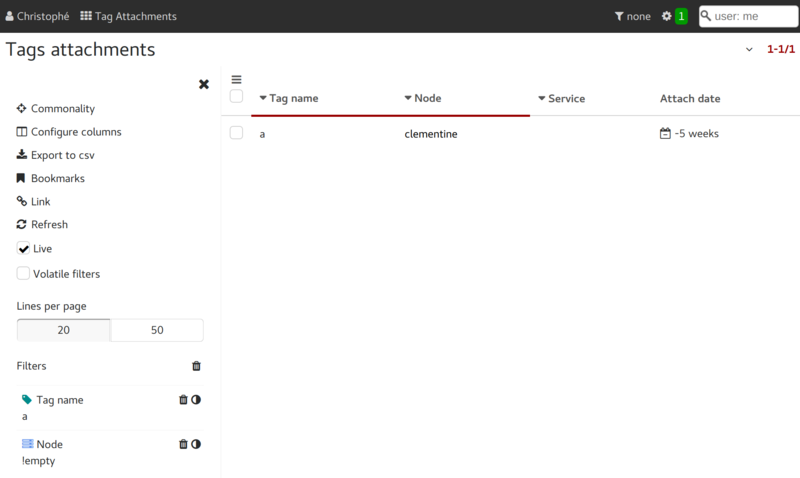 In the service instance view, right click on the Node column header. A side panel opens, showing the column data distribution and distinct values count. Here the fset_id 16 is the "opensvc servers" session filterset visible in the header in the screenshot above. The meta.distinct.node_id is the number of cluster nodes in the OpenSVC infrastructure known to this collector. right click on the Node column header. The meta.distinct.node_id is the number of virtual cluster nodes in the OpenSVC infrastructure known to this collector. 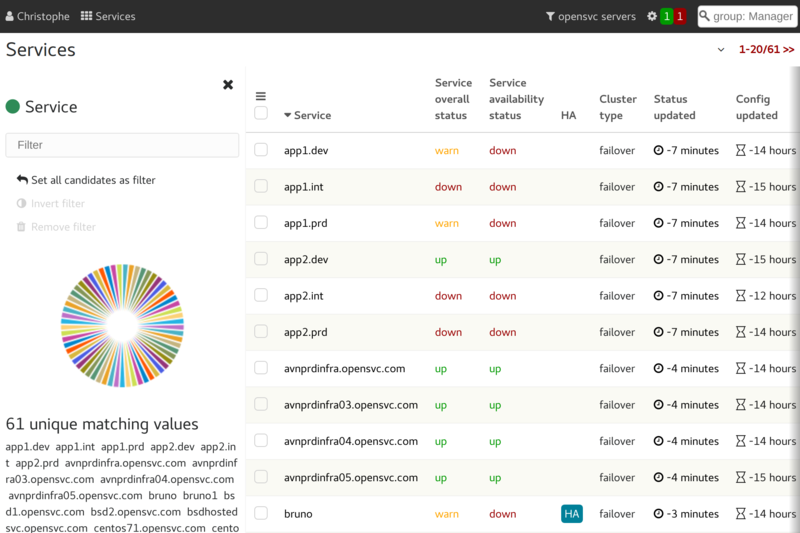 In the services view, right click on the Service column header. The meta.distinct.svc_id is the number of services in the OpenSVC infrastructure known to this collector. right click on the Service column header. 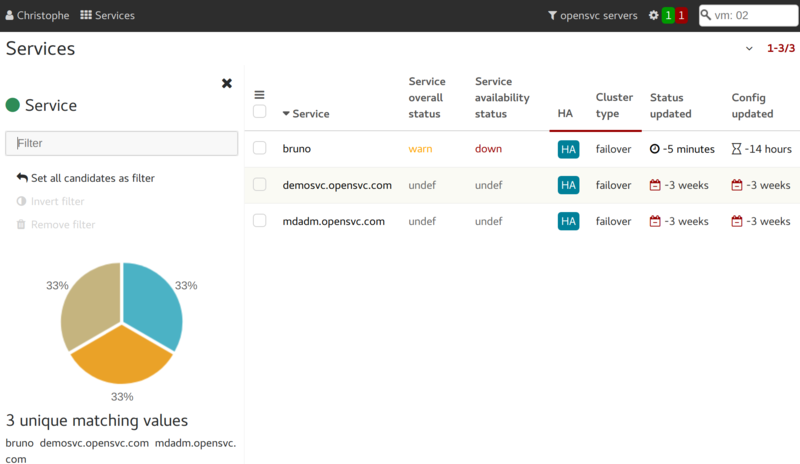 The meta.distinct.svc_id is the number of HA failover services in the OpenSVC infrastructure known to this collector. The session filterset is changed to opensvc cluster nodes. 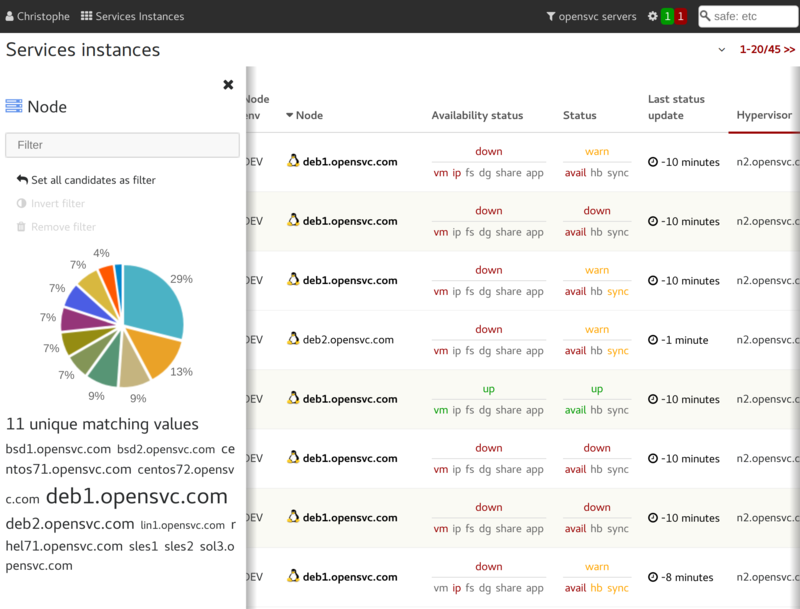 This filterset design is: opensvc servers filterset AND "the node is in the services instances view. right click on the OS Name column header. The data.os_name dictionary shows the cluster nodes operating system dispatch in the OpenSVC infrastructure known to this collector. right click on the OS Vendor column header. 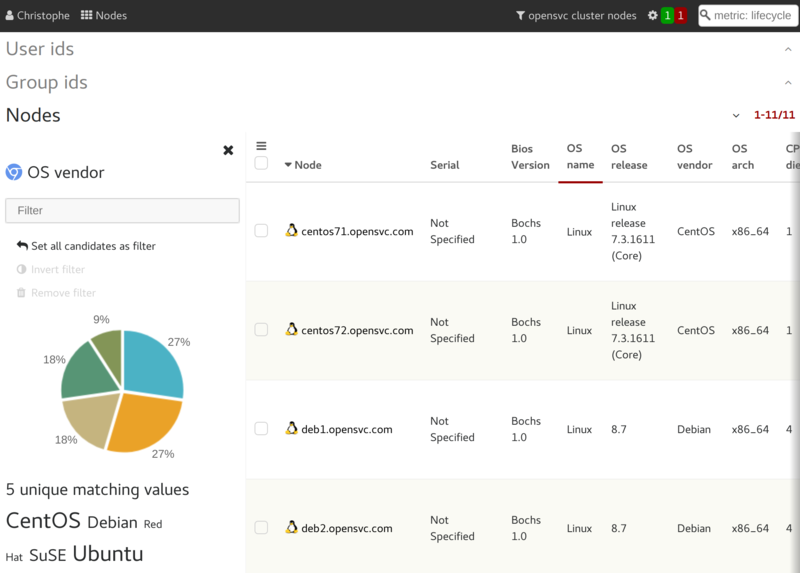 The data.os_vendor dictionary shows the cluster nodes Linux operating system vendor dispatch in the OpenSVC infrastructure known to this collector. The pager shows the total number of nodes tagged a.